What's The Muda With You?Eliminate The Muda! What's The Muda With You? Muda? If you want the summary take a look at the page link above or click here. Muda is a Japanese word that means waste. While traditional “lean” practitioners focus on the original 7 forms of waste there are actually more than just 7. Today I begin to delve deeper into the concepts of Muda and how they affect not only our finances but the quality of our lives. Over the next several weeks I will dedicate a post to each form of Muda known and maybe a few new ones. In the manufacturing world where these concepts were first formalized as a management system the worst for of waste is Overproduction. This is because when you produce too much of something or you produce something too soon you often create or cause the other forms of waste in the process. If you overproduce you have likely spent more time than necessary producing stuff you don’t really need, Muda of time! It is the Muda of time that I really want to focus on as the first of this series. The Muda of time is the one I tend to regret the most, probably because of my quickly advancing age! Time is also particularly concerning because it is a form of Muda that once wasted can never be regained! A commodity that is provided to all equally regardless of race, creed or religion we are all provided the same 24 hours each day and the same 365 days each year. From the perspective of “quality of life” are we really making the most of every moment? How many things do you have on your Bucket List and how many have you accomplished in the past 365 days? Every year seems to go by faster and it would seem to most that we accomplish less. Can we more effectively manage our time and as a result increase our quality of life? From the perspective of “time is money”, are you maximizing your true earning potential? Even more scary might be to ask if you even making as much as you thought? One book that was a real inspiration to me was the The 4-Hour Workweek by Tim Ferris. In it he challenges you to consider the difference between your hourly rate and how much you make per hour of “work”. Add up your total work time, include commuting and travel, the work you bring home, the time you spend shopping for work clothes, the time you spend focused on work and not on your family or your hobbies. Total up all the minutes you spend in pursuit of your income and divide that into your annual income. You might be surprise to learn how little you actually make. Value-added – activities that someone is willing to pay for, they bring you income, wealth or useful knowledge. 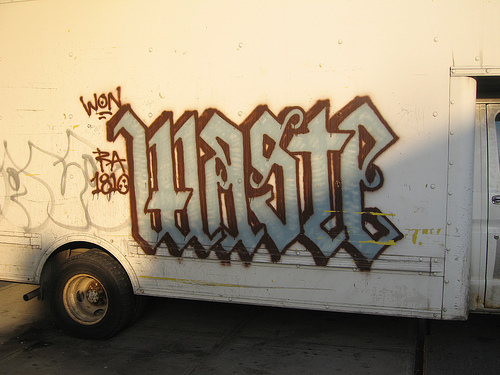 Wasteful – actions that are not necessary and non-value added, Muda! Out of every waking hour, how much of your time is spent in value-added activities, how much is spent incidentally and how much is wasteful? Is it possible to make your value-added time more valuable? Can you become more productive at what you do? Follow the philosophies of Lean and you will likely learn how. Is it possible to improve your incidental activities, to reduce the amount of time you spend on them? Follow the philosophies of Lean and you will likely learn how. Is it possible to eliminate the wasteful activities in your life? Absolutely! There are hundreds of demands on our time, some of our own creation many from others. Begin simply by thinking about each and every activity you do and consider which category it falls into. If what you are doing adds no value to you or to your customer, if what you are doing is not necessary to meet legal, ethical or contractual obligations consider if it really necessary and can it be eliminated? Check back next week when I begin reviewing the details of each of the original 7 forms of waste and then begin to explore some other types of waste we all encounter.